At Stoney Creek Eye Care & Eyewear Boutique, we believe in giving you all the necessary information to make important decisions about your eyes. We provide laser eye surgery consultations to answer any questions you may have and help you make the best possible decision for your eye health and lifestyle. Request your appointment for a laser eye surgery consultation today. When you come in for a laser eye surgery consultation, we have two goals in mind. The first is to ensure that you are a good candidate for surgery, without any pre-existing health conditions that might complicate the procedure. The second is to make sure you understand all of the facts, benefits, and potential risks associated with refractive surgery, before making a decision. 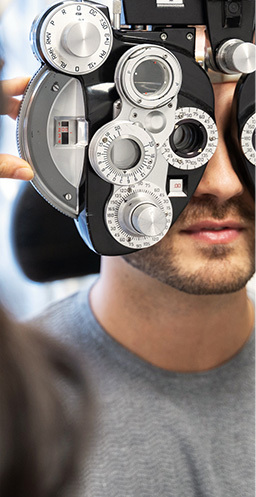 After we’ve performed a thorough examination of your eye health and determined the precise level of correction needed, we will refer you to an experienced ophthalmologist to perform the surgery. After your procedure, we will check in with you to see how you’re feeling and schedule a follow-up visit with you. At your follow-up, we’ll test your vision and examine your corneas to see how you’re progressing in the healing process. We’ll also address any questions or concerns that may have come up since your surgery. PRK was the first refractive eye surgery to use lasers, and it’s still used today. In this procedure, the ophthalmologist uses a laser to remove tissue from the surface of the cornea, reshaping it to change the way light refracts in your eye, and correcting your prescription. The procedure generally takes about 15 minutes per eye. 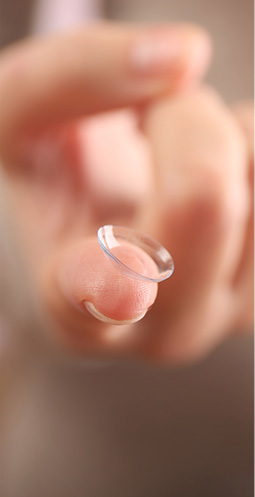 A bandage contact lens is worn for 24 to 48 hours postoperatively, while the cornea re-epithelializes. LASIK is the most popular form of laser eye surgery to date. Like PRK, the procedure is designed to reshape the cornea by removing tissue. However, unlike PRK, the surgeon begins LASIK by making a flap in the outer layer of your cornea. The flap is folded back, and the laser is used to reshape the inner layers of the cornea to give it the desired correction. Once achieved, the ophthalmologist will replace the outer flap over the cornea. Refractive lens exchange is the same procedure usually performed on patients with cataracts. When the eye’s natural lens becomes cloudy and increasingly difficult to see through, it is called a cataract. When this happens, the lens can be replaced with an artificial one, which also corrects the patient’s prescription. During refractive lens exchange, the clear, healthy crystalline lens is replaced to correct the patient’s refractive error. The ophthalmologist begins by breaking up the natural lens with a small ultrasonic device. Then they carefully remove the remaining pieces of the lens through a small incision in the eye. 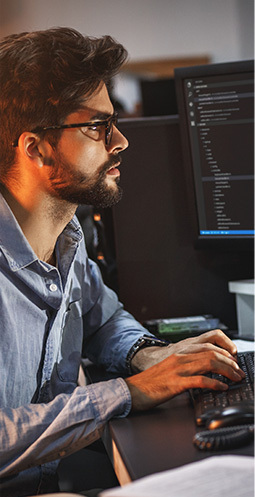 Once the natural lens has been completely removed, the doctor will insert an artificial lens through the same incision, restoring clear vision to the patient. Read more about refractive lens exchange. Implantable collamer lenses or phakic intraocular lenses offer clear vision without changing the shape of the cornea like PRK or LASIK. Lens implantation is performed by creating a small incision in the eye through which the folded lens is inserted and placed behind the iris but in front of the natural crystalline lens. These implants are removable at a later time, for example, if the patient requires cataract surgery. Read more about implantable collamer lenses.